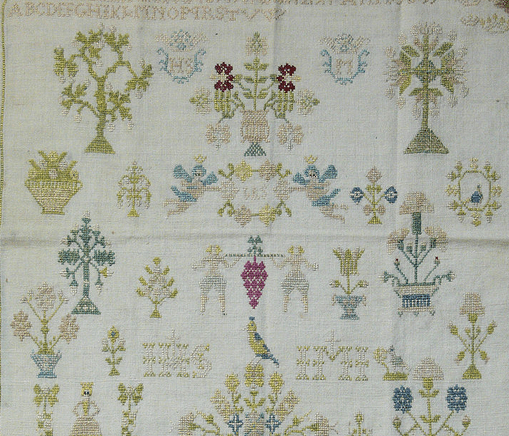 18th century cross stitch sampler. Alberta Arnolda Sligters, 1735. Reiss-Engelhorn-Museen, Mannheim, Germany. Harrogate Knitting and Stitching Show 2018 Opens its Doors.